Innovator Award: ACS Document Imaging Inc., a small business located in Knoxville, for the development of an outstanding idea, process, project management mechanism, or technology. ACS has assisted the laboratory for several years in the area of records management and information processing for the organization. 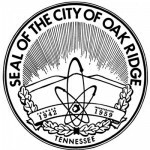 Rising Star Award: Boston Government Services LLC of Oak Ridge for the company’s outstanding performance and extraordinary service in its early years of subcontracting with ORNL. Boston Government Services has developed DOE operational cost and feasibility assessments, and has used technical advancements in software design and data analysis related to radiation detection to report critical information on issues and risk. Marketplace Award: Piping Supply Company Inc., a small business located in Chattanooga, for the company’s excellent service provided within the ORNL Marketplace catalogs system. Roy Etheridge, a team leader in ORNL’s Science and Technology organization, received the 2016 ORNL Small Business Advocate Award for his consistent support for small business in procurement and outreach activities. UT-Battelle LLC procurement operations are led by LeAnne Stribley, director, Acquisition Management Services Division, which resides in the Business Services Directorate, headed by Chief Financial Officer Scott Branham. Cassandra McGee Stuart is the Small Business Programs Office manager.